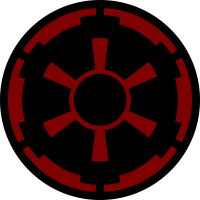 The 81st Storm Guard is an Imperial Regiment. We are a newly formed regiment with mostly Veteran players of the Mod. Our goal is to enjoy the mod and have fun in the events. We will have trainings and sith trials. If you'd like to join add Commander Cleric. This isn't the final version! Some thing will be improved and changed later. Not even done with the page, but the best of luck! Thank you. I just made it so I can finish it tomorrow. It almost feels like they waited for another clan to disband. Good luck anyway! Good luck to you all. I am sure you will be a worthy cannon fodder! Its never too late to say good luck.